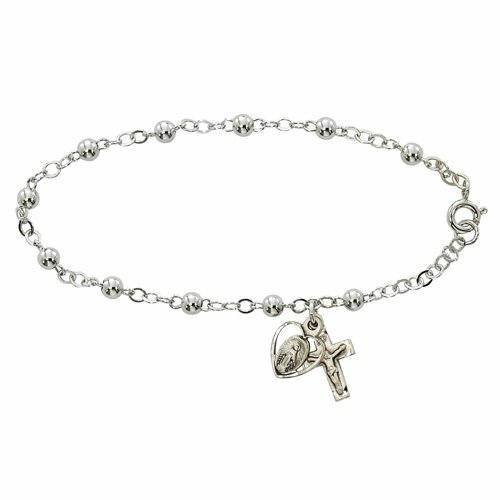 A rosary bracelet that is created with 4mm sterling silver beads and sterling silver wire. 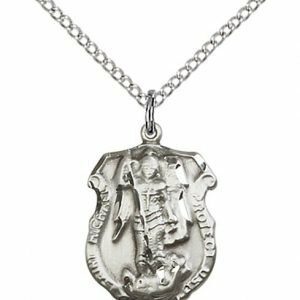 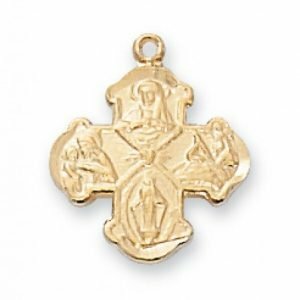 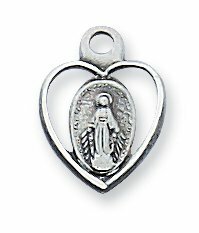 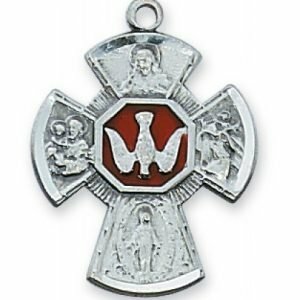 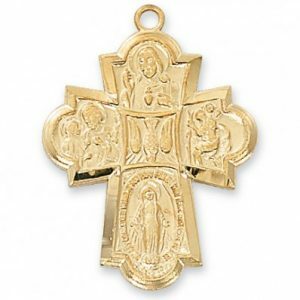 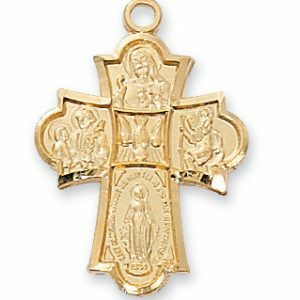 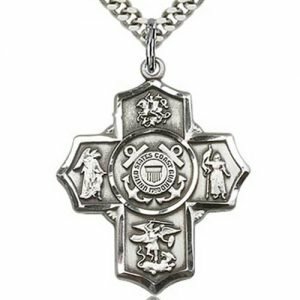 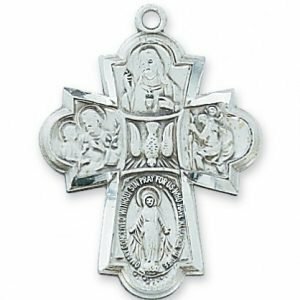 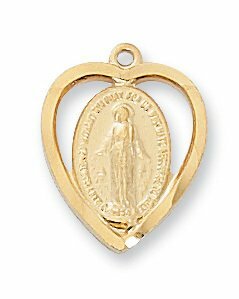 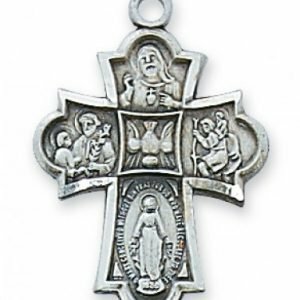 The crucifix and miraculous medal are also crafted from sterling silver. 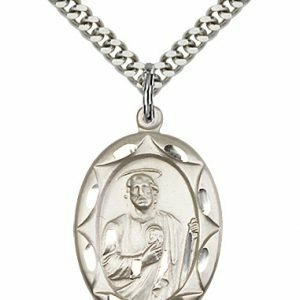 A delicate heirloom bracelet that can have a special patron saint added to for confirmation or name day.